Bella Hadid has had a come-up that is both quick and well deserved. The model followed in her sister Gigi's footsteps, a move one might assume would leave her constantly waiting in the wings. Not the case, though, as the younger Hadid has carved out a career that is not only wildly successful but also different than her sister's. She can do it all—edgy, sweet, commercial, couture, and everything in between. It's rare, in this industry especially, to meet such an shape-shifter, a model who can pull off grunge the same day she shows up in taffeta. It's no wonder, then, that Nars tapped her for its biggest launch of the year, Powermatte Lip Pigment. "The model brings the product to life and gives it an identity, so matching the right model with a product is very important. I love Bella. She has a very strong and powerful look that I think is very well suited to a bold product, like Powermatte," François Nars, the iconic founder and creative director of his namesake company, wrote in a press release. For Hadid, though, it's not all about the makeup. She told the brand, "My definition of beauty is being strong and confident from the inside out. I think the most beautiful people are the ones who leave an impression on your heart from their kindness and love." In fact, Hadid doesn't want makeup to feel limiting—she says it should instead feel like an expression of authenticity. "If you're comfortable wearing no makeup, that's beautiful," she says. "I also think if you feel more confident with makeup on, then you're still beautiful. Makeup is a huge expression for boys and girls all around the world, which is a beautiful way for people to come together." It's that type of empowerment that keeps Bella's influence both productive and refreshing. Her ability to melt rebellion and self-expression seamlessly in her work and even on her heavily followed social presence allowed Mr. Nars to take notice: This rock 'n' roll–inspired campaign showcases the idea of "effortlessness that's both bold and sultry," he says. Naturally Hadid delivered in spades, as did the product. I tried it myself, and it's truly a perfected formula—one that isn't chalky, glue-y, or drying. 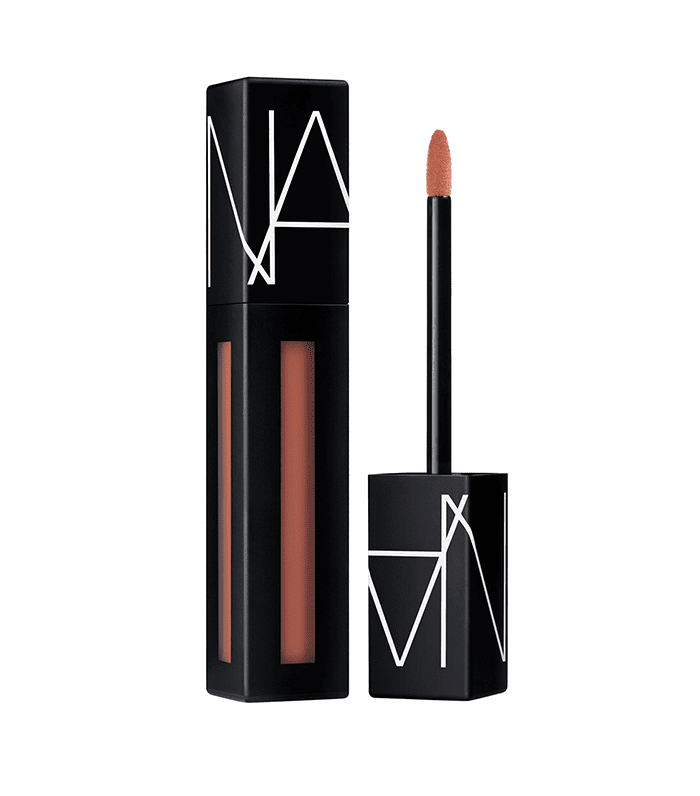 It glides on smooth (the applicator can double as a liner), and dries creamy but matte. Another cool tidbit? Each shade is named after a famous song, each of which I noticed filled the DJ's playlist at the launch event. As the face of Dior Beauty, Hadid is no stranger to the beauty industry. But the model first learned about the importance of skincare from her mother, who's a former model herself. "Growing up, my mom taught me about products that are good for your skin, specifically serums and oils. She was an advocate for healthy skin and started to teach me about a proper skin routine before makeup." She continues, "I usually keep my skin regime very simple. I have very sensitive skin so I like to stay with the products that I know are good for me. I wash my face, apply a good mask, followed by an oily serum." Her beauty indulgences are face masks and she'll never leave the house without lip gloss. Yes, that's right, one of the most famous models of the moment loves a nostalgic glassy lip just like you do. In terms of makeup, she keeps it pretty classic: "My typical makeup includes beautiful, glowy skin, a gold eye, and long, thin eyeliner. I always select shades that I know will go well with my eye color and skin tone. I love gold and taupe hues, but sometimes I like to add a pop of color on my eyes or lips." Nars Powermatte Lip Pigment ($26) is available July 6 on NarsCosmetics.com and July 13 at Sephora. For more Bella goodness, read about the time I ate like Bella Hadid for seven days.